The Weeknd’s ‘Starboy’ comic with Marvel has finally got a release date. The comic, which will be called The Weeknd Presents: Starboy,” will be loosely based on his hit song by the same name. 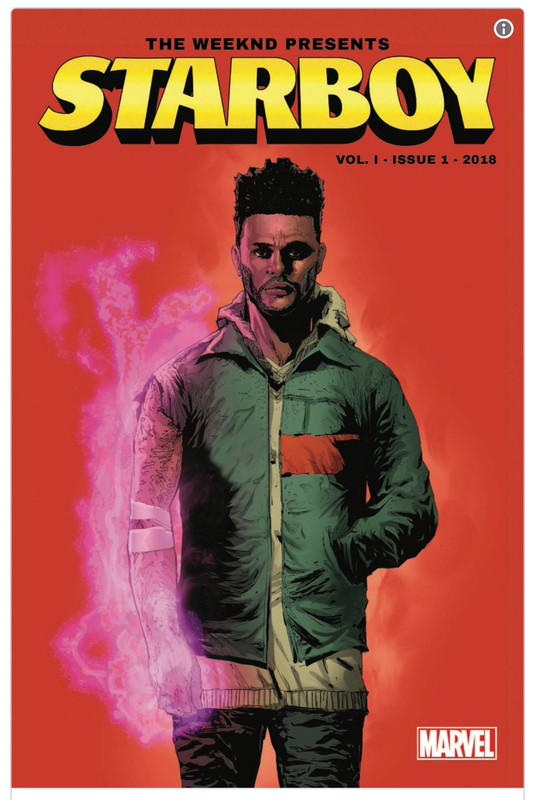 The comic is written by The Weeknd, La Mar Taylor, and Christos Gage, with art by Eric Nguyen and Guru-eFX. So what will the series be about? The book will be about a city called Alphatron, which is being terrorized by a veritable kingpin of crime called, ‘The Chef’ – a being who rules over other criminal organizations and that also likes to eat the people it kills. Starboy who takes after The Weeknd’s likeness will go toe-to-toe with the kingpin. The first issue of ‘Starboy’ hit stores June 13! Posted on March 25, 2018, in ENTERTAINMENT NEWS. Bookmark the permalink. Leave a comment.